Founded in 1883 by Heinrich Dreyer, Amazone is still owned by the family today. They specialise in the design and manufacture of sprayers, fertilisation, sowing and tillage machinery. Amazone employ around 1800 people at the main factory in Osnabruck and at their six other production sites. Proven quality, reliability and innovation allow Amazone to export to more than 70 countries worldwide. BRM are proud to be UK Amazone dealers for North Yorkshire and the North East of England. 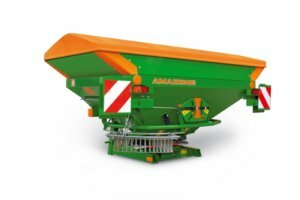 Amazone are the biggest manufacturer of fertiliser spreaders in the world. They offer an extensive range of precision fertiliser spreaders offering working widths from 10m to 54m. In fact, a combination of stain less steel and charged particle paint finish guarantees a long life for the metal work. Compare your applied rate with your pre-determined rate automatically with Amazone’s weighing systems. Isobus communication available on many models. We can offer a full range of sprayers from 12m to 40m. 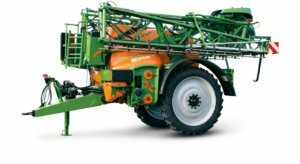 These high quality Amazone sprayers are available as tractor mounted, trailed and self propelled models and have Isobus technology throughout the range. UF mounted sprayers are available up to 1800L with booms from 12m to 28m. They have lightweight but strong frames to reduce weight and close coupled tanks for stability. A front mounted tank provides the option to increase capacity. UX models are trailed and offer larger capacity tanks and longer booms. Rounded polyethylene tanks reduce spray residue and steered axles ensure the sprayer tracks closely. Booms are available from 18m to 40m. The Pantera self propelled sprayer is capable of “SpeedSpraying” up to 20km/h and has a road speed of 50km/h. A fully automatic track width adjustment can enables you to move smoothly between jobs. It has a minimal turning circle of just 4.5m making it highly manoeuvrable. Given that it has a ground clearance of up to 1.7m and a spraying height of up to 3.75m this sprayer is very versatile. The Pantera has a 4500L tank and boom options from 21m to 40m. 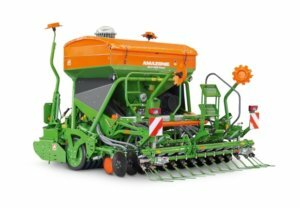 Amazone offer a wide range of passive and active soil tillage solutions. 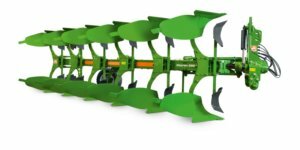 With its acquisition of Vogel & Noot in 2016 there are now 6 models of plough available to choose from. We are therefore able to offer you a mounted plough to suit all your hp and soil requirements. Double action shearbolt protection is standard on the Cayron while hydraulic furrow width adjustment is standard on the Cayron 200V. The complete modular-build system of the Cayros models allows you to match your plough accurately to your individual operational requirements. Because of the recent trend towards minimal tillage, disk harrows can provide the perfect solution for soil cultivation. Catros and Certos disc cultivators have maintenance free bearings and oil filled hubs which help reduce fuel consumption. Their compact design and aggressive disc angle ensure excellent penetration and thorough mixing of harvest residues. As a result, this mixture of straw and soil creates optimal living conditions for soil organisms. Mounted and trailed options are available as well as various types of roller to suit. The Cenius mulch stubble cultivator is available in 3 and 4 tine rows with one row of discs. The mounted or trailed models have working widths from 3m to 7m. Shearbolt protection is standard but C-Mix Super pressure spring overload protection is available for more heavy work. Hydraulic adjustment is available so complete set up is possible from your tractor cab. This is a highly versatile range of cultivator which can be tailored to your individual needs. design features like the Long-Life-Drive and large through-passage to prevent blockages. Quick release tines also help you to keep these machines in the field where they belong. In addition, working widths from 2.5m up to 6m folding are available and can operate from 140hp to 360hp tractor outputs. 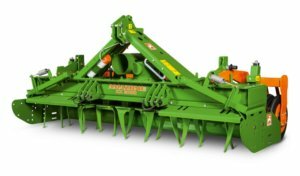 We can provide a full range of options for disc harrows, cultivators and rollers. 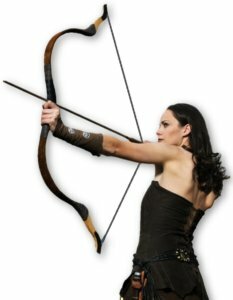 View these in detail on Amazone’s main website. We also have a full range of brochures here at BRM. Amazone have a wide range of drills available. Whether it’s the proven technology of the gravity drill you want or a precision air seeder, they have the lot! The D9 and AD Pack Top gravity seed drills offer working widths from 2.5m all the way up to 12m. Of course both can be combined with a rotary power harrow to provide excellent sowing performance. Given that the range of air drills available is quite extensive, it means there are models and widths to suit all modern sowing requirements. Amazone’s mounted air drill, the AD-P is modern and reliable. There are 3 working widths available and hopper capacities up to 2000L. The Avant has a front mounted tank as well as various working widths up to 6m. There are even more models options for contractors and larger farms. The largest is the Primera DMC which has a 6000L hopper capacity and can work up to 12m!